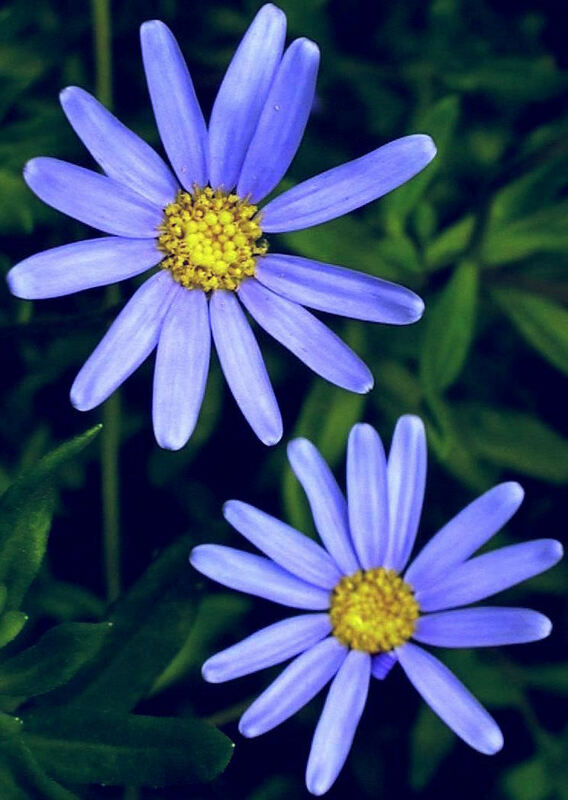 This native of South Africa has bright, SKY BLUE daisy flowers. Its small, shiny leaves and stems are brittle. They break rather than bend, emitting a bitter aroma. 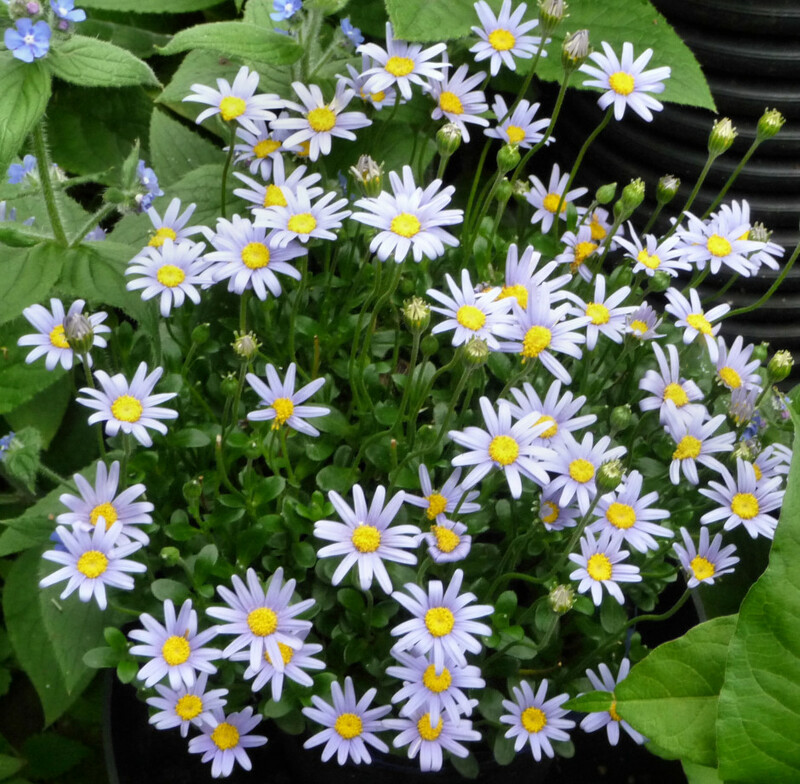 Felicia flowers are very popular with bees. Give the plant full sun and good drainage, keep it watered but not waterlogged, and pinch off spent blooms to encourage new ones. Other names: Blue Daisy, Blue Marguerite, Kingfisher Daisy, Paris Daisy.